The International Association of Elevator Engineers, IAEE as established on the 20th February 1986 in Nice, France, during the first General Assembly. The rapid growth of the building industry and associated technologies demands parallel growth in the field of vertical transportation. Both the freight and passenger elevator industry need qualified engineers in the field whose knowledge keeps pace with technological and scientific developments. The International Association of Elevator Engineers (IAEE) will provide a forum for the exchange of information and experience vital for training and education. Ami Lustig joined ESL – Eng. S. Lustig Consulting Engineers Ltd. (Tel-Aviv, Israel) in 1972. He is a certified elevator inspector and member of the Israeli Standards Institution’s IS 1525/2 Buildings Maintenance Committee. 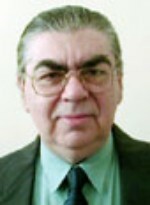 Over the years he has published a great number of papers and edited several books. He is Chairman of the Intelligent Building International Steering Committee (IB/IC) and since 1987, he has been member of the Board of Executives (Steering Committee) of the IAEE. Joseph STIER Initiated the idea of the IAEE in 1985, and since then acted as the “De Facto” manager of the association and officially as the secretary of the administrative board and secretary of the executive committee. Assisted in organization of all IAEE events world wide, managed all activities and sponsored the association activities since its creation. Sponsored almost all books and publications if IAEE and was active in recruiting members, officials and activate all parts of the organization. 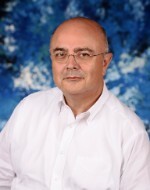 Executive Committee Member & Chairman of IAEE Turkey Branch. He is graduated from the Division of Industrial Engineering, Faculty of Mechanical Engineering, Istanbul Technical University. After graduation in 1982, he worked as the mechanical installations engineer in various construction projects and in 1992, he joined Asray and thus, the manufacturers side of the Lift Industry. He is currently a shareholder and the General Manager of ASRAY. He has worked in Industrial associations for many years. Mr. Targıt was the president of AYSAD (Turkish Elevator and Escalator Association) between 2006 and 2016. Also he has been elected as the president of SEDEFED (Federation of Industrial Associations of Turkey) for the 2013 and 2016 period. · TURKONFED (Turkish Enterprise and Business Confederation) Board of Directors; Vice President. 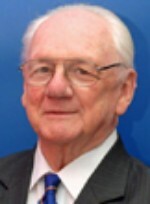 John Inglis OAM has been involved in all aspects of the lift industry for fifty six years, his technical training was carried out at Sydney Technical College. He has been a member of the Australian Elevator Association Technical committee for over thirty years and during the same period has been a member ot the Standards Australia ME/4 committee for Lifts. John Inglis is chairman of several sub-committees for the lift standards and also represents Australia on the ISO TC178 committee and WG-4 and WG-6. Since 1986 he has been a member of IAEE and during recent years he has been a member of the Executive Board of IAEE and regional coordinator for the Pacific region, in October 1998 he was appointed Chairman of IAEE. John Inglis has presented paper at all ELEVCON congresses since 1988 and in recent years has concentrated on the evolution of aspects of the lift industry. Albert So obtained BSc(Eng), MPhil and PhD, all in electrical engineering from The University of Hong Kong. He had been with the HK Government, City University of Hong Kong, and Johnson Controls (Asia) and is now Director of Asian Institute of Built Environment, and Honorary Visiting Professor of the School of Arts, Science and Technology of University of Northampton in the area of elevator engineering. Dr. So is one founder of IAEE (HK-China Branch). Since 1996, he has been a member of the Board of Executives of IAEE and since 1998, he has been appointed the Scientific Advisor of IAEE. He is a Chartered Engineer of the U.K. and a fellow of various institutions, including CIBSE, IMechE and SOE. His main interests are in the research of traffic analysis and energy saving drives and has published over 40 papers in journals and conference proceedings. 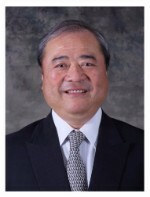 H S Kuok has been a member of the IAEE since 1991 and is a founder-member of the IAEE (HK Branch). 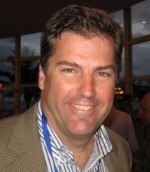 In 1993, he was elected as the Steering Committee Member of the Branch. 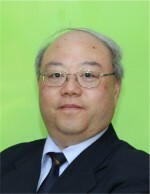 He is currently the Chairman and the Hong Kong Regional Coordinator of the IAEE (HK-China Branch). Moreover, he is the President of the Lift and Escalator Contractors Association (LECA), the Vice President of the Hong Kong Federation of Electrical and Mechanical Contractors Limited (HKFEMC), a member of the Lift and Escalator Safety Advisory Committee as well as the Examination Committee of EMSD, HK SAR Government for registration of lift engineers and escalator engineers. Mr. Kuok was a graduate in Electrical Engineering and has been a Registered Lift and Escalator Engineer and Contractor in Hong Kong since early 70’s. He joined the Chevalier Group in 1972 and is currently the Co-Chairman and Managing Director of Chevalier International Holdings Limited. Mr. Kuok is devoted to encourage higher professional standards by delivering papers in global elevator conferences. 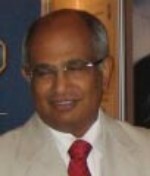 TAK Mathews, principal consultant with TAK Consulting, has close to 3 decades experience in the construction and vertical transportation industry. His exposure extends to all aspects of the vertical transportation industry covering projects and construction, service and modernization and planning and sales of elevators and escalators. Mathews is a representative on the P-4 panel of the ET25 committee constituted by the Bureau of Indian Standards for rewriting the Elevator & Escalators Codes. He is the Convener of the Panel for Installation of Lifts and Escalators, CED 46:P16 of the National Building Codes of India. He is a Chartered Engineer and a Fellow of the Institute of Engineers (FIE). Mathews has done his engineering from the University of Dar-es-Salaam (Tanzania), MBA from the Birla Institute of Technology (India). He is also an alumnus of IMD, Lausanne (Switzerland). Mathews is the founder Editor of Elevator World India and the co-founder of the Elevator & Escalator Safety Trust (EEST), a nonprofit entity set up with the objective of training users on safe practices while using elevators, escalators and moving walks. © 2017 The International Association of Elevator Engineers. IAEE.